The British Psychological Society (BPS) has joined eight other leading mental health organisations in calling for the removal of social security sanctions for people with mental health conditions. The statement launched yesterday at the 12th New Savoy Annual Conference in London. It calls for everyone living with a mental health condition to be supported in gaining financial security, whether through the social security system or appropriate help in returning to or gaining paid work. However, the statement makes clear that no one with a mental ill health should ever be forced to look for work, or face the threat of having their lifeline support reduced because of welfare conditionality and sanctions. In the statement signed by mental health experts and charities, such as the Centre for Mental Health, Mental Health Foundation and Rethink Mental Illness among others, the BPS say: “We believe that everyone living with a mental health condition should be supported to attain financial security. Whether they need the support of the social security system or help when they would like to return to or gain paid employment, no one should have to struggle to make ends meet as a result of their mental health problem. “Yet too many people lose their jobs or are denied opportunities in the labour market because of a mental health condition. And too often our social security system treats people with insufficient dignity and humanity. “Combined, these issues can exacerbate or contribute to mental health problems. “No one with a mental health condition, however, should ever be mandated to look for work, or to face the threat of having their benefit payments reduced. Neither conditions nor sanctions have been shown to work or to be safe for people with mental health difficulties, and as a result we believe they should be stopped. Sanctions, under which people lose benefit payments for between four weeks and three years for “non-compliance”, have come under fire for being unfair, punitive, failing to increase job prospects, and causing hunger, debt and ill-health among jobseekers. And sometimes, sanctions have been correlated with deaths. The Society published a briefing paper 2016, and an official Call to Action asking the government to commission an end-to-end redesign of the Work Capability Assessment (WCA) process – including its outcomes and periods for reassessment. Last year, a collective of the UK’s leading professional associations for psychological therapies reaffirmed their opposition to welfare sanctions. The British Association for Behavioural and Cognitive Psychotherapies, British Association for Counselling and Psychotherapy, British Psychoanalytic Council, British Psychological Society and UK Council for Psychotherapy between them represent more than 110,000 psychologists, counsellors, psychotherapists, psychoanalysts and psychiatrists who practise psychotherapy and counselling. “Our key concerns remain that not only is there no clear evidence that welfare sanctions are effective, but that they can have negative effects on a range of outcomes including mental health. The organisations reaffirmed the clear position against welfare sanctions that they previously took in a 2016 joint response. 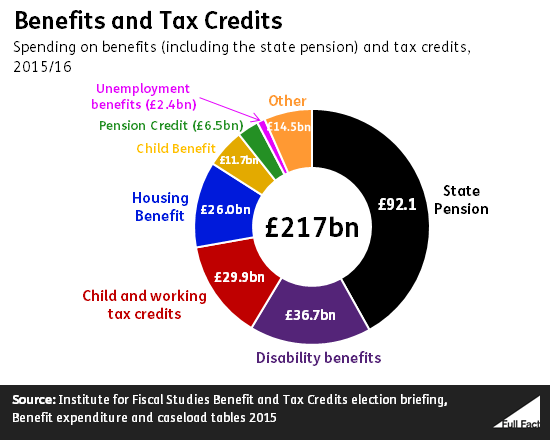 Last year, the UK’s most extensive study of welfare conditionality concluded that sanctions are ineffective at ‘helping’ people into work and are more likely to reduce those affected to absolute poverty, ill-health and even survival crime. It was found that sanctions impacted negatively on people’s mental health, frequently triggering high levels of stress, anxiety and depression. The report authors called for a review of the use of sanctions, including an immediate moratorium on benefit sanctions for disabled people who are disproportionately affected, together with an urgent “rebalancing” of the social security system to focus less on compliance and more on helping claimants into work. Sanctions are justified and imposed by the government, who claim they promote ‘behavioural change’. Ministers tend to present narratives where individuals are held responsible for social and economic problems. However, many of us believe we need a fundamental change in the UKs’ socioeconomic organisation, because neoliberalism systematically excludes the poorest citizens, while generously rewarding the wealthiest. Power relationships within our society also need to change, because the government is inflicting structural violence – socioeconomic oppression – on marginalised social groups, based entirely upon the government’s own traditional class prejudices. If any ‘behavioural change’ (a euphemism for state coercion) is needed, it is most certainly on the part of Conservative policy-makers, not from those who are being systematically oppressed. Sanctions reflect the actions of a more broadly abusive and authoritarian regime. Sanctions mean that the poorest citizens’ only means of meeting their most fundamental survival needs – food, fuel and shelter – is removed from them as a punishment for simply being poor. Yet we know the government’s misuse of psychology, embedded in their crib sheet justification of sanctions, is dangerous, cruel and boardroom psychobabbling utter nonsense. It’s time the public stopped being bystanders in the face of targeted state abuse. Priti Patel uses techniques of neutralisation to discredit the concerns raised and the evidence presented that sanctions harm people’s mental health. She even disgracefully called this cruel and punitive state action “support” ,”help” and “fair”. It is never acceptable to endorse an oppressive, abusive regime that deliberately removes people’s means of basic survival, to meet “labour market requirements”. A 62-year-old woman says that she’s been forced to leave her home after the Department for Work and Pensions (DWP) sanctioned her – cut her benefits – for turning up late for a meeting. Faith Hurford, from Hillesley near Stroud, who suffers with a range of medical conditions that haven’t been disclosed, says the benefit sanction means she is unable to afford the rent and has to move away from her home because of the DWP’s callous and unfair decision. The Stroud News and Journal reports that despite her health problems, Faith had to travel a staggering 15 miles (one way) to attend a meeting about her Universal Credit claim in Stroud. Due to heat, the sheer distance she had to cycle, as well as her chronic health issues, Faith was forced to stop and take a break at a Sainbury’s store to recover her energy, before continuing the arduous journey. “I had been a supporter of Universal Credit before – it helps you look for work and it’s simpler to use – but that sanction was unlawful. Faith says that she tried to explain the reason for her lateness but her reasonable appeals fell on deaf ears. She says that the sanction has cost her nearly £200 in lost benefit payments. “You need to take a person’s circumstances into account. The effort I went to was not recognised in any shape or form. Faith is currently looking for a new place to live while waiting to hear back about an appeal lodged with the social security tribunal. Sanctions on welfare payments which have caused thousands of claimants to fall into hardship are being handed out without evidence that they actually work. The Department for Work and Pensions doesn’t even monitor and analyse its own data, making claims that sanctions “work” from an evidence-free zone. A report published earlier this year by the WelCond project, led by the University of York and involving the Universities of Glasgow, Sheffield, Salford, Sheffield Hallam and Heriot-Watt, analysed the effectiveness, impact and ethics of welfare conditionality from 2013 to 2018. The findings of this report’s adds more evidence to a substantial and growing body that welfare conditionality within the social security system is largely ineffective and that benefits sanctions have severe and negative impacts on personal, financial and health outcomes, including mental health. The report suggests that too much emphasis is being placed on negative consequences for not being engaged in job-seeking activities and not enough emphasis on more positive and individualised work-shaping activities to help people access work that they wish to be in. In 2016 the British Psychological Society (BPS) and a range of allied organisations (British Association for Behavioural and Cognitive Psychotherapies (BABCP), British Association for Counselling and Psychotherapy (BACP), British Psychoanalytic Council (BPC)), stated a very clear position against welfare sanctions, in response to reports of a lack of efficacy and potential harm to mental health, as outlined in their 2016 joint response. The organisations say that key concerns remain that not only is there no clear evidence that welfare sanctions are effective, but that they can have such negative effects on a range of outcomes including mental health. The collective organisations – BPS, BACP, BPC, BABCP and UKCP – are the UK’s leading professional associations for psychological therapies, representing over 110,000 psychologists, counsellors, psychotherapists, psychoanalysts and psychiatrists who practise psychotherapy and counselling. In 2016, even the government’s technocratic team of behavioural economists and policy gurus at the Nudge Unit did a u-turn on benefit sanctions. They said that the state using the threat of benefit sanctions may be “counterproductive”. The idea of increasing welfare conditionality and enlarging the scope and increasing the frequency of benefit sanctions originated from neoliberal behavioural economics theories of the Nudge Unit in the first place. In their report, the select committee urge the government to reassess the sanctions regime. However, there is no evidence they ever assessed it in the first place. The UK’s leading professional associations for psychological therapies have reaffirmed their opposition to welfare sanctions. The British Association for Behavioural and Cognitive Psychotherapies, British Association for Counselling and Psychotherapy, British Psychoanalytic Council, British Psychological Society and UK Council for Psychotherapy between them represent more than 110,000 psychologists, counsellors, psychotherapists, psychoanalysts and psychiatrists who practise psychotherapy and counselling. The organisations reaffirmed the clear position against welfare sanctions that they took in a 2016 joint response. I’ve written a lot of critical articles over the last few years about the government’s controversial welfare policies. The Conservatives claim that welfare sanctions “incentivise” people to look for work. However, the authoritarian application of a behaviourist idea – that punishment somehow motivates people to “change their behaviour” – especially when such punishment involves the cruel and barbaric removal of people’s means of meeting their most fundamental survival needs – food, fuel and shelter – contradicts conventional wisdom and flies in the face of a substantial body of empirical evidence. Making provision for meeting fundamental human needs so rigidly conditional is an atrociously brutal act. There is simply no justification for a government in a very wealthy democracy to behave in such an inhumane manner. Social security is a safety net that most people have contributed towards. It came into being to ensure that no citizen would face absolute poverty – hunger and destitution – when they experience hardships, in a civilised and civilising democracy. Punitive welfare sanctions are an extremely regressive policy. It was widely recognised during the 1940s that absolute poverty reduces citizens’ motivation and prevents us from fulfilling our potential at an individual level and as a society. Click here to read the Society’s recent comment on benefit sanctions. Click here to read the statement from the five organisations. I wrote about the extensive study of welfare conditionality here: Research shows that Tory ‘hostile environment’ of welfare sanctions doesn’t help people to find work. “We, the UK’s leading bodies representing psychologists, psychotherapists, psychoanalysts, and counsellors, call on the Government to immediately suspend the benefits sanctions system. It fails to get people back to work and damages their mental health. “Making work pay” for whom? It’s a draconian, crude behaviourist and armchair technocratic government that would claim to “make work pay” by decreasing social security support for the poorest members of society, rather than raising wages to meet the rising costs of living. This approach was justified by claims that poor people became “dependent” on benefits because the welfare state provides “perverse incentives” for people seeking employment. However, there is no empirical evidence of these claims. Keith Joseph, a leading New Right advocate of the welfare dependency theories, set out to try and establish evidence dependency during the Thatcher era, and failed. Both Thatcher and Joseph wanted to extend Victorian bourgeois values of thrift, self-reliance and charity among all classes. Such an approach has benefitted no-one but wealthy employers motivated by a profit incentive, as people who are out of work or claiming disability related benefits have become increasingly desperate. These imposed conditions have created a reserve army of labour, which has subsequently served to devalue labour, and drive wages down. We now witness high levels of in-work poverty, too. The Victorian Poor Law principle of less eligibility had the same consequences, and also “made work pay.” It’s shameful that in 2017, the government still believe that it is somehow effective and appropriate to punish people into not being poor. Especially when the government’s own policies are constructing inequality and poverty. Last week I wrote about the Samaritans report: Dying from inequality: socioeconomic disadvantage and suicidal behaviour, which strongly links socioeconomic disadvantage and inequality with psychological distress and suicidal behaviours. The report reiterates that countries with higher levels of per capita spending on active labour market programmes, and which have more generous unemployment benefits, experience lower recession-related rises in suicides. Research has consistently found that in countries with a generous social safety net, poor employment (low pay, poor conditions, job insecurity short-term contracts), rather than unemployment, has the biggest detrimental impact on mental health. This is particularly true of neoliberal states with minimal and means tested welfare regimes. It seems health and wellbeing are contingent on the degree to which individuals, or families, can uphold a socially acceptable standard of living independently of market participation, and on the kind of social stratification (socioeconomic hierarchies indicating levels of inequality) is fostered by social policies. Furthermore, despite the government’s rhetoric on welfare “dependency”, and the alleged need for removing the “perverse incentives” from the social security system by imposing a harsh conditionality framework and a compliance regime – using punitive sanctions – and work capability assessments designed to preclude eligibility to disability benefits, research shows that generous social security regimes make people more likely to want to work, not less. However, the UK government have continued to conflate social justice and inclusion with punitive policies and cuts, aimed at coercing disabled people towards narrow employment outcomes that preferably bypass any form of genuine support and the social security system completely. See – UN’s highly critical report confirms UK government has systematically violated the human rights of disabled people.